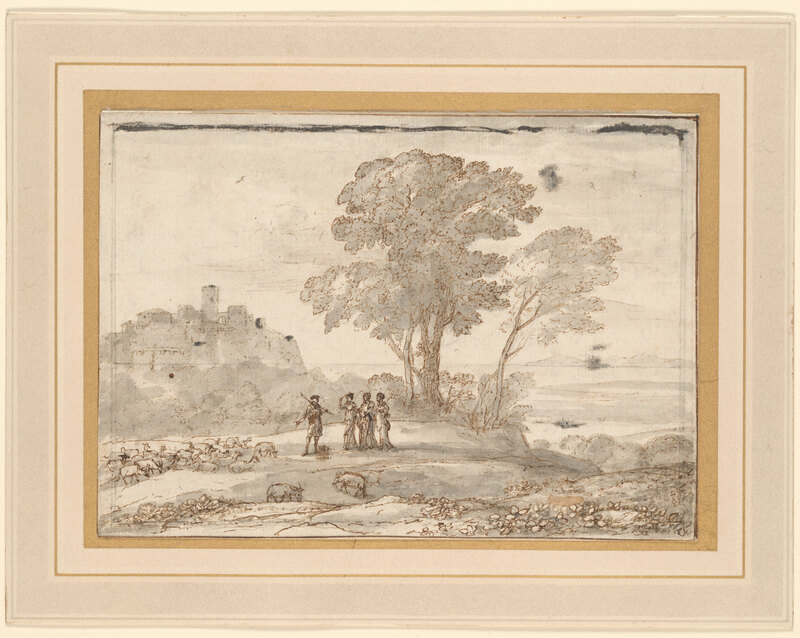 Pen and brown ink and gray wash on paper; ruled border in pen and brown ink, also bordered in black chalk. Reverend Henry Wellesley, Oxford; his sale, London, Sotheby's, 25 June-10 July 1866, lot 300 (according to Marcel Roethlisberger); Charles Fairfax Murray (1849-1919), London and Florence; from whom purchased through Galerie Alexandre Imbert, Rome, in 1909 by Pierpont Morgan (1837-1913), New York (no mark; see Lugt 1509); his son, J. P. Morgan, Jr. (1867-1943), New York. Preparatory drawing for a painting in the Dulwich Picture Gallery.